When developing Spot it! Party, the latest expanded edition of the popular Spot It game, we toyed around with many new game rules. Of course, several variations (or mini-games as they’re called in the Spot It rule booklet) didn’t make the final cut, despite being a blast to play. As a blog exclusive, we want to share the one that came the closest to print! It’s called Ducks In A Row, and you’ll need the card holders that come in Spot It Party to play. 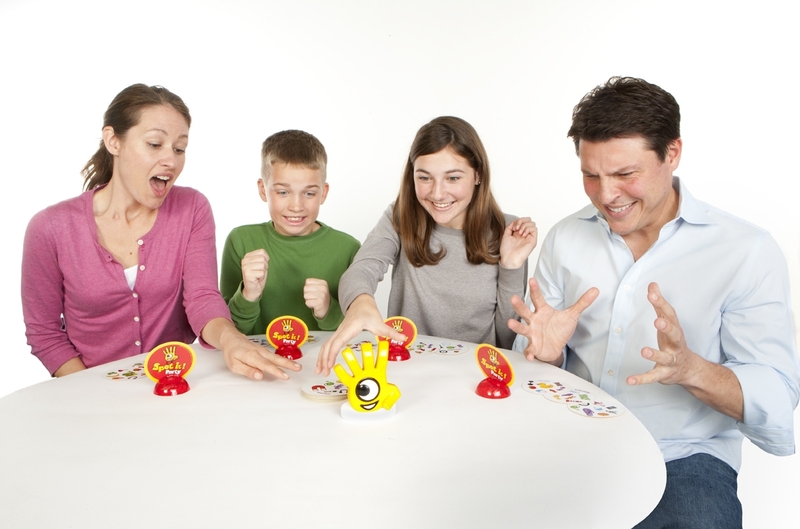 We know that many Spot It fans come up with their own ways to play or twist the rules. We would love to hear your ideas for Spot It game rules and share them on the blog! 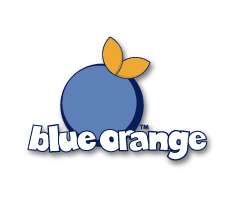 Please email marketing(at)blueorangegames(dot)com with your family’s way to play. Alright, let’s play! Depending on the number of players, take either 4 holders or 8 holders. When playing with one row, everyone sits side by side facing the holders. When playing with two rows, one group sits on one side of the holders and the other group sits opposite them. It is okay if the sides are uneven by one player. 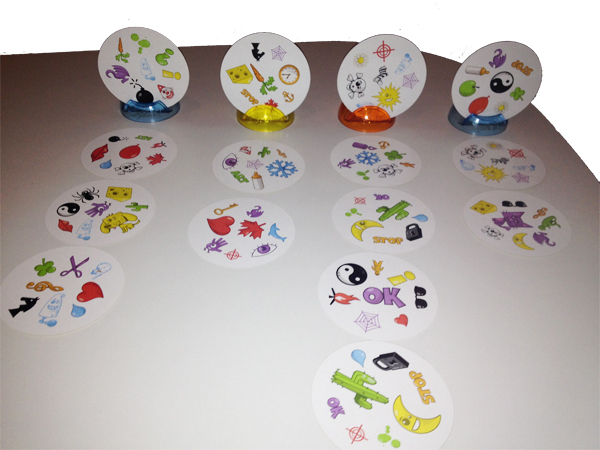 Shuffle the cards and insert one card into each holder with the symbol side facing the players. Deal four cards face-down to each player. Place the rest of the cards in the tin and set aside. To be the first player to get rid of all your cards. At the same time, players flip over their stack of cards. Players try to spot a symbol that appears both on their top card and any one of the 4 cards in the holders facing them. If you spot it, call it out (example: “Magnet!”) and place your card face-up in front of the matching holder card. If another player finds a match between that same holder card and their own card, they place it in front of your card. Always look for matches with holder cards, not the cards in a line in front of them. Important: The number of cards in front of a holder cannot exceed the number of players on a side. Example: If there are 3 players, you cannot place a 4th card in front of a holder, but must look to another holder card for a match. When playing with 4 people on a side, no more than 4 cards can be placed in a row on that side! If you are playing with 2 back to back rows of holder cards (and more than 4 players), both groups will be racing to get rid of their cards but half will be using one row of holder cards and the other half will be using the other row. The first player to place their last card in front of a holder wins!